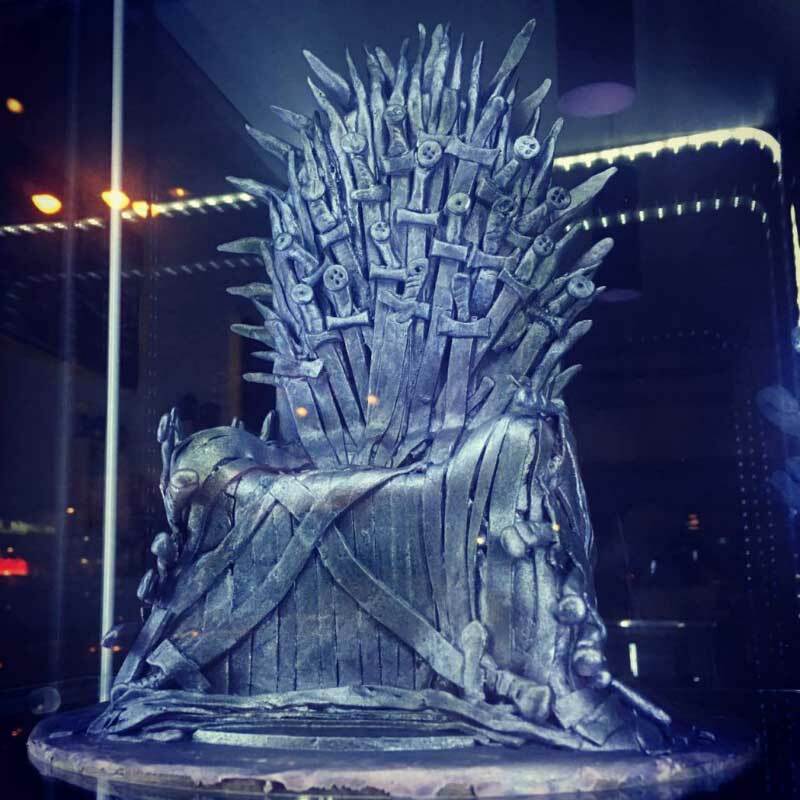 Yes this is a Game of Throne cake, although it is only a small cake that feeds about 4 people, but we can always make more cake under the Throne. 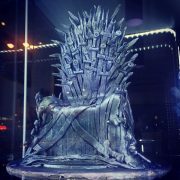 We have made this cake on the night that the new season of Game of Throne was released, that’s how much we LOVE it! This cake is made with a square chocolate butter cake and covered by fondant. We have made about 50 little swords for this cake with gum paste as it sets very quickly. After 2 hours of mini swords making, the Iron Throne comes out, we’ve painted it with edible metallic paint, now you have the Iron texture.